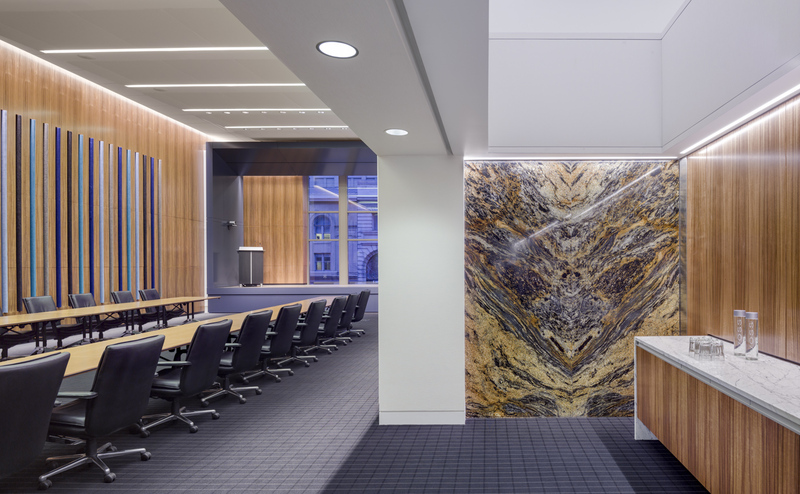 There were many unique details on this fun law firm project. 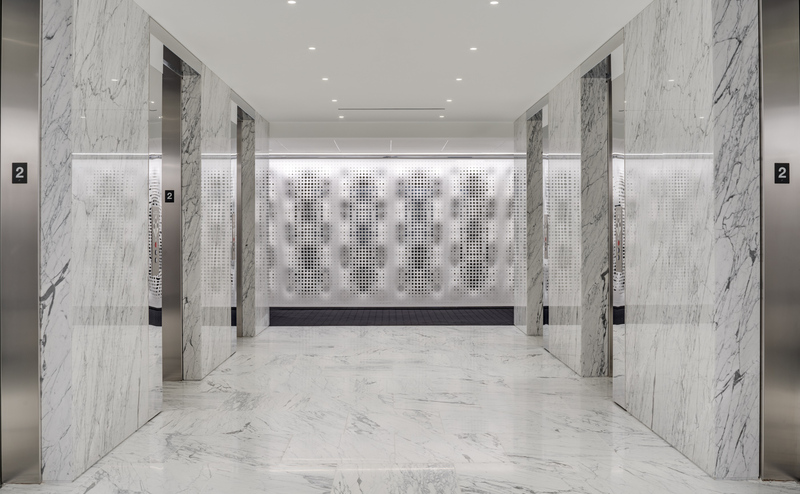 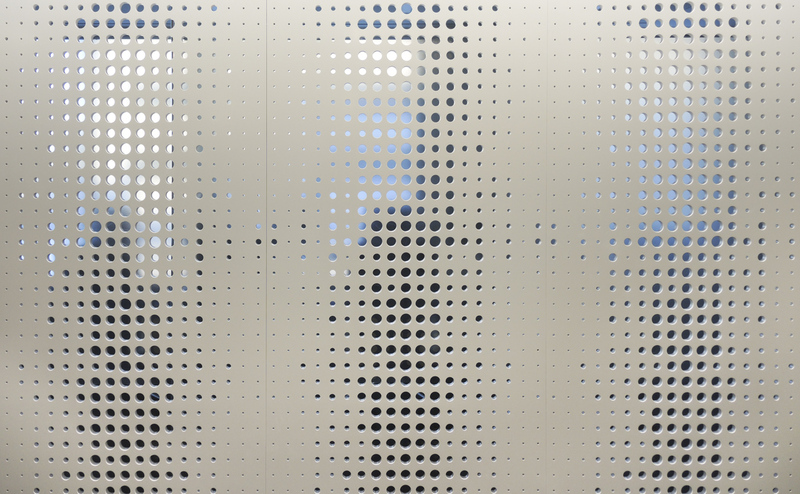 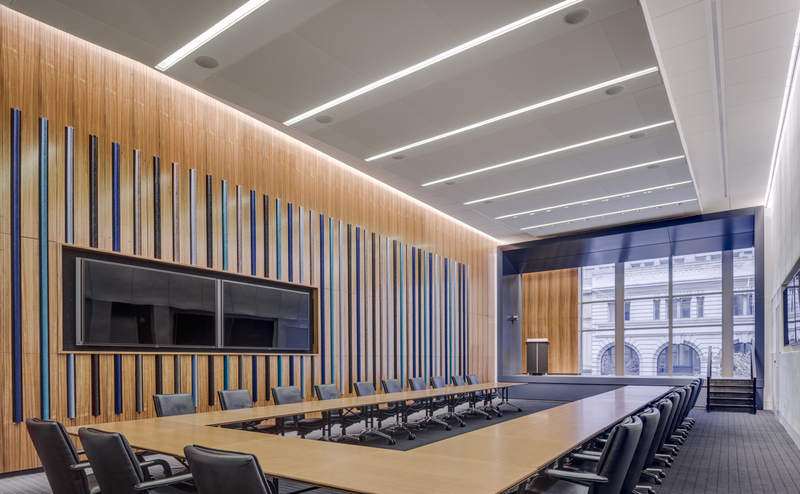 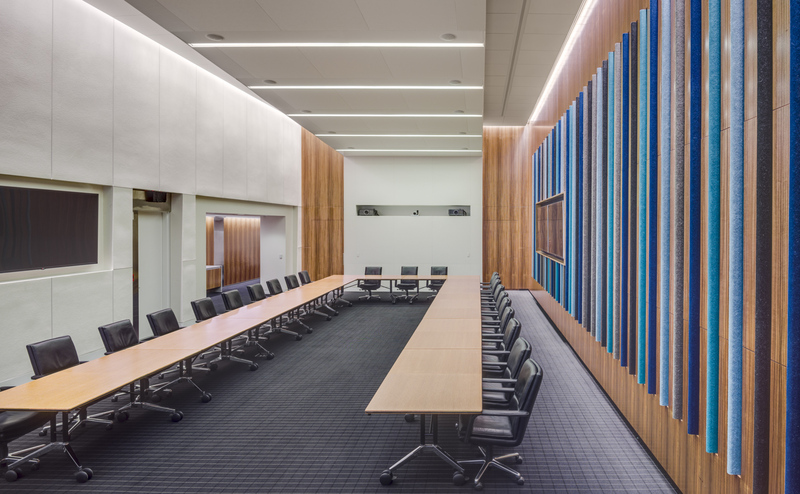 From the challenge of wrapping thick felt around small, narrow pieces of wood, to fabricating a perforated and curved solid surface screen, nothing on this job was typical. 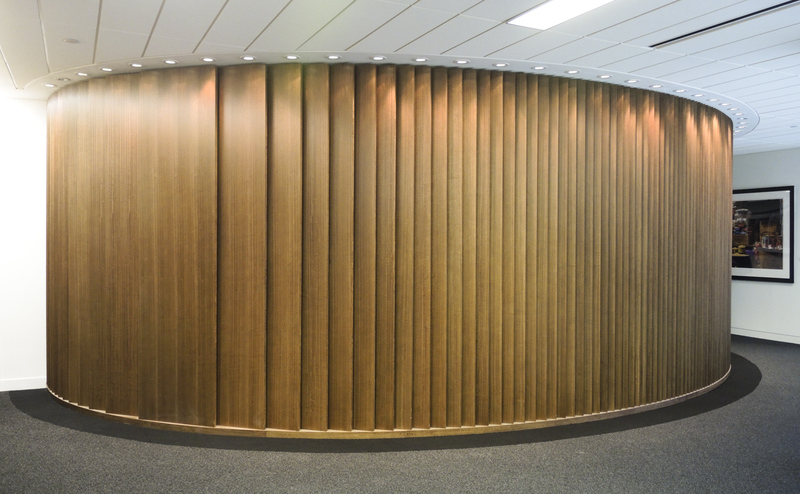 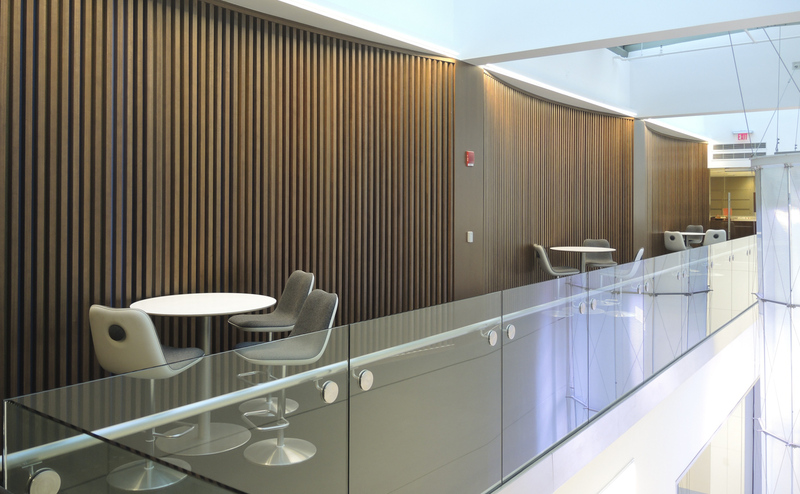 In the dining area we manufactured 4’x9’ sliding panels that functioned as an acoustical partition, and in the executive area we installed parallel, wood and felt fins on a curve in plan creating walls for a semi private meeting space with a burst of color inside.